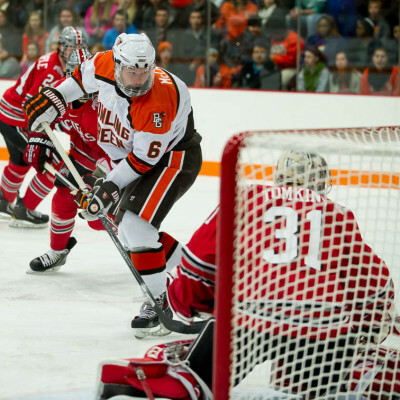 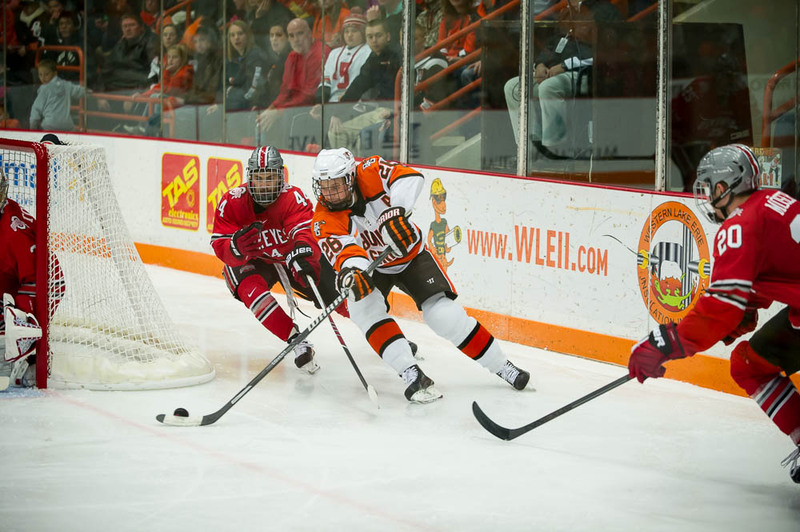 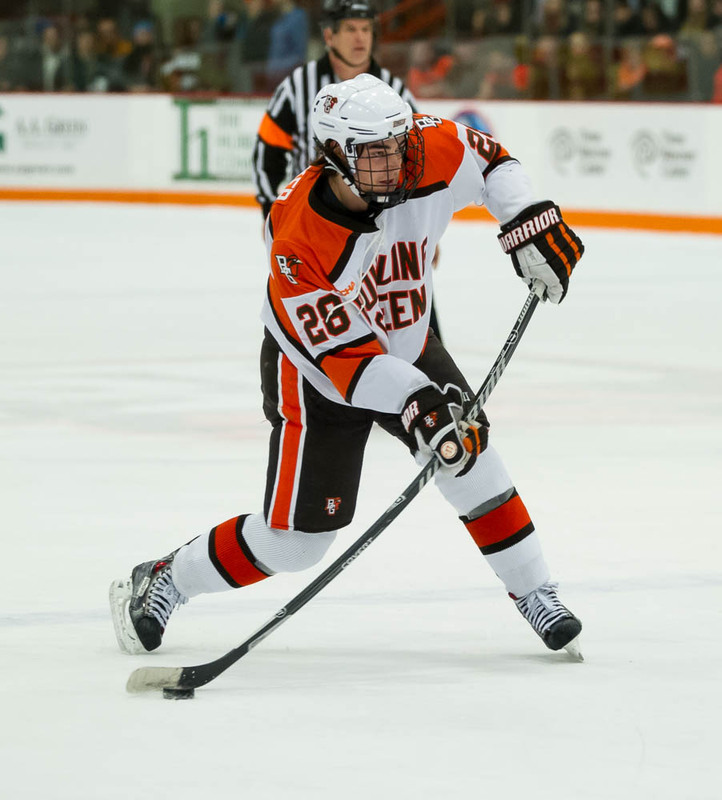 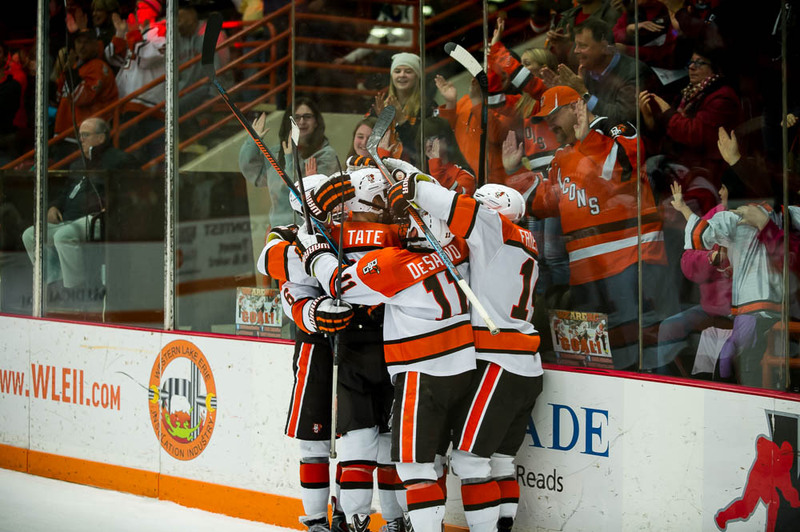 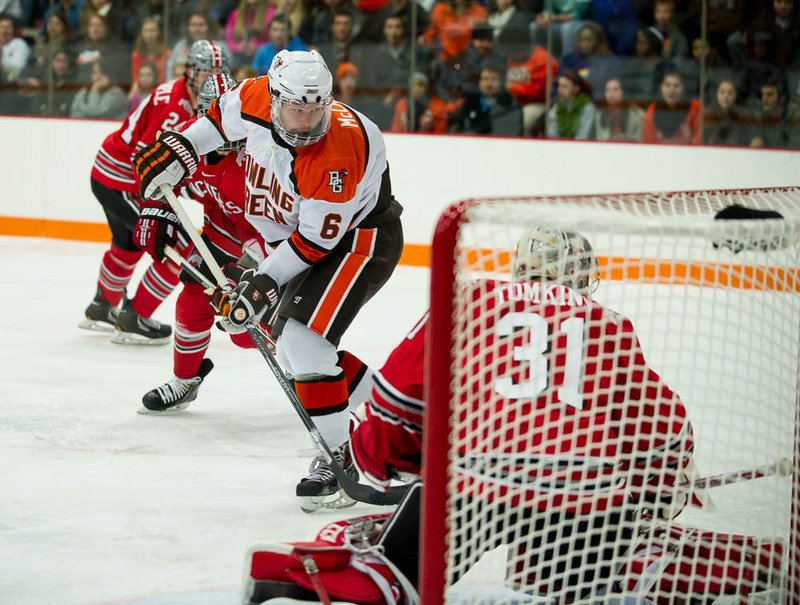 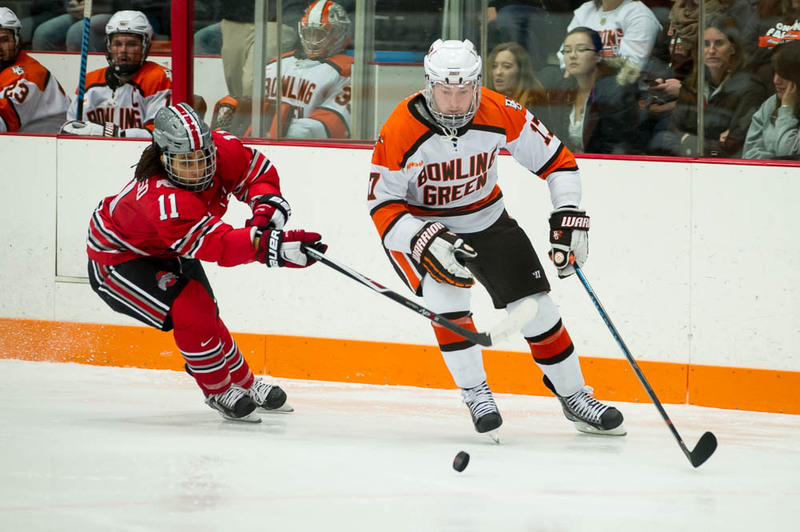 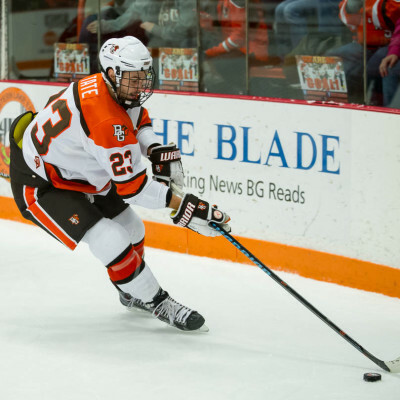 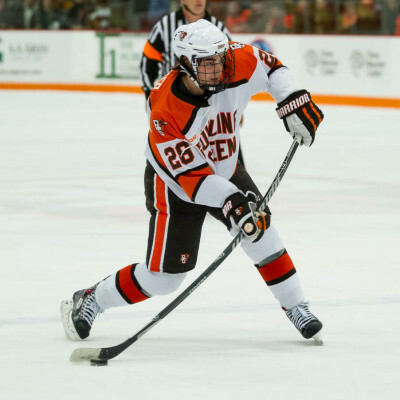 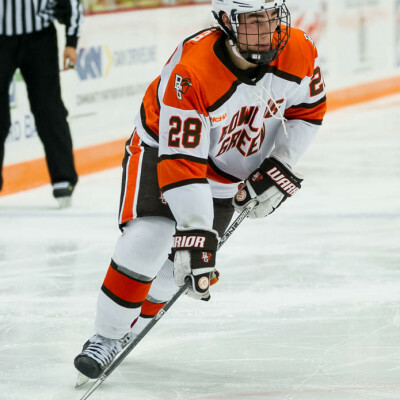 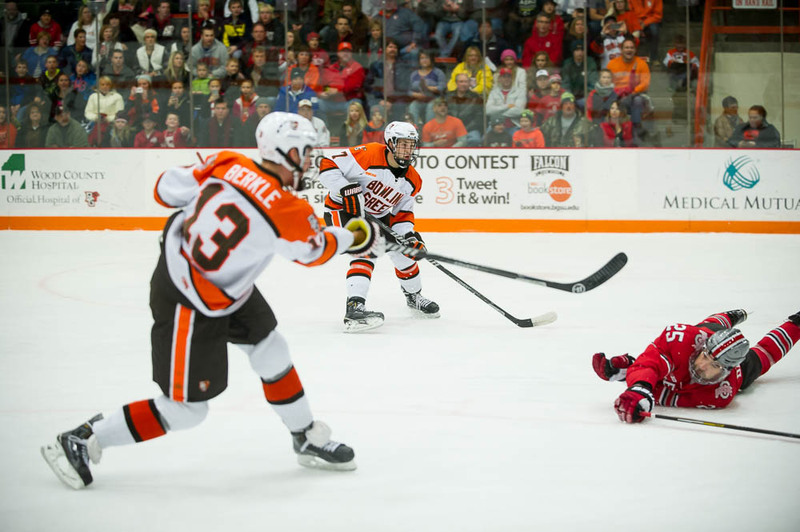 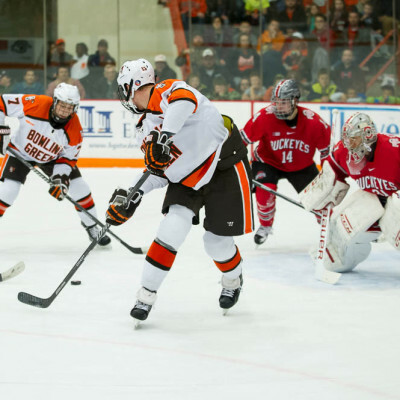 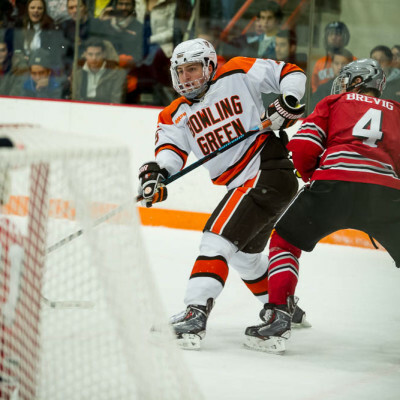 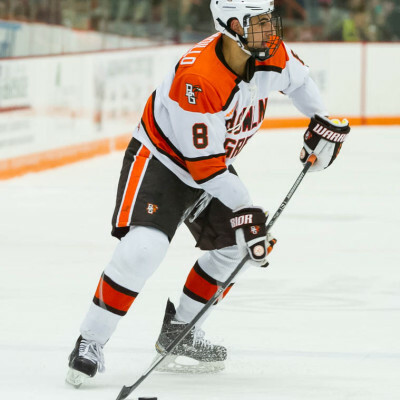 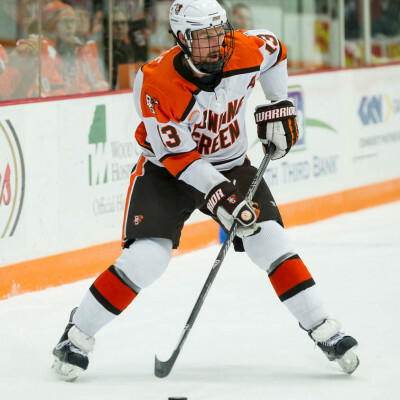 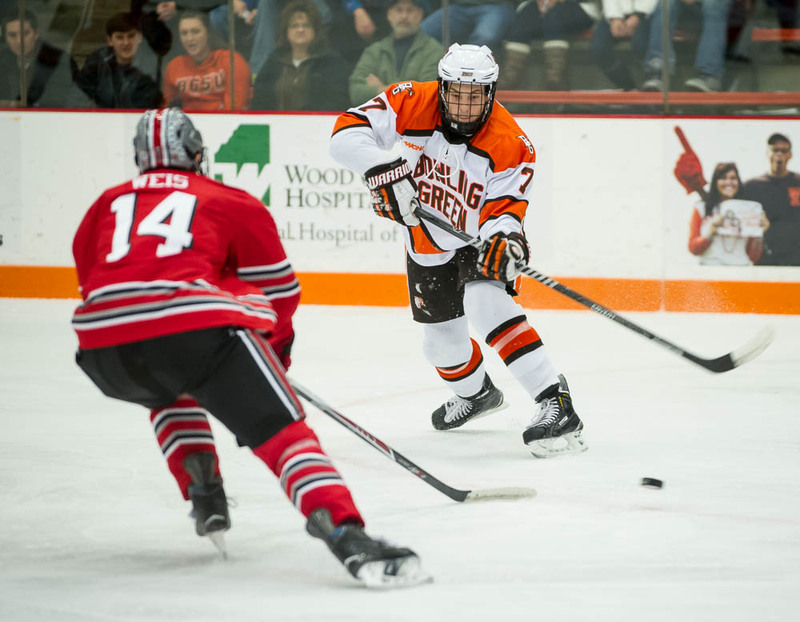 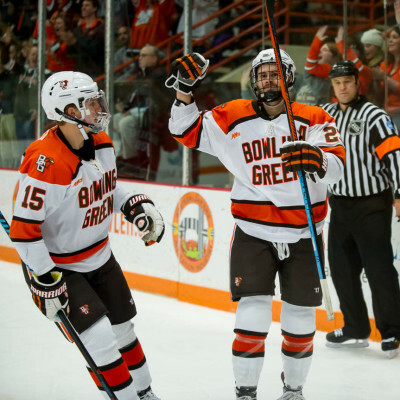 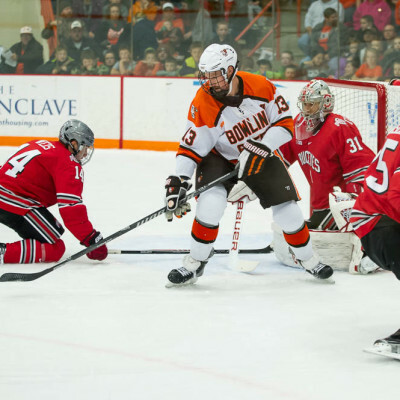 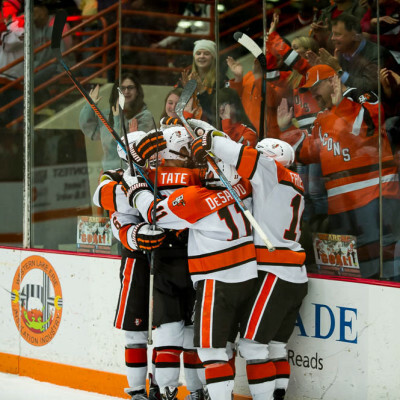 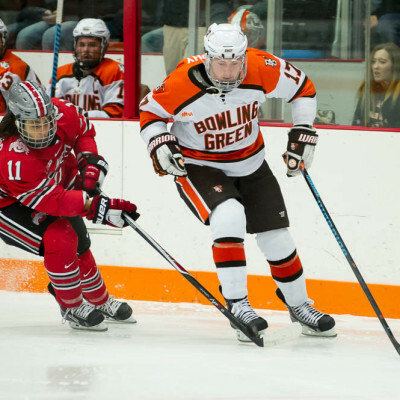 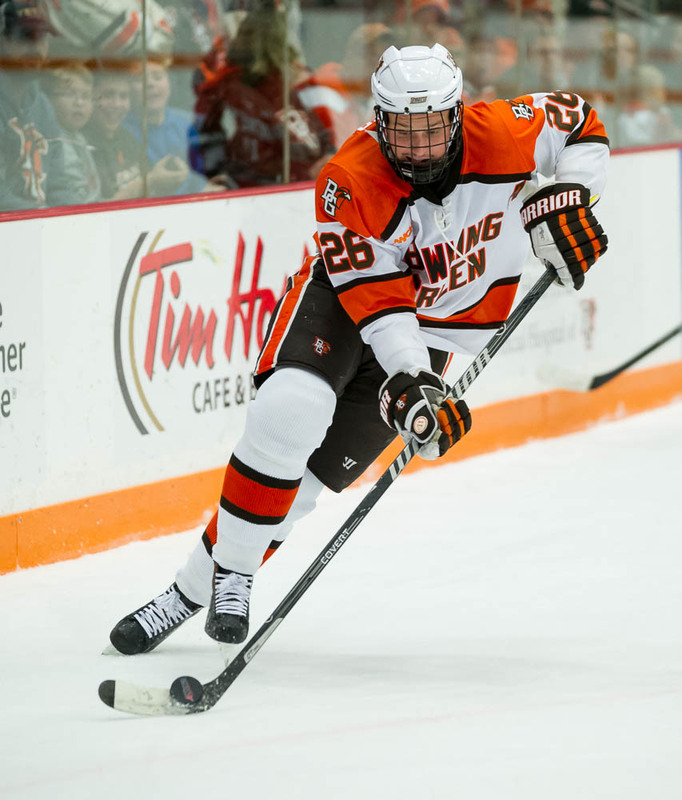 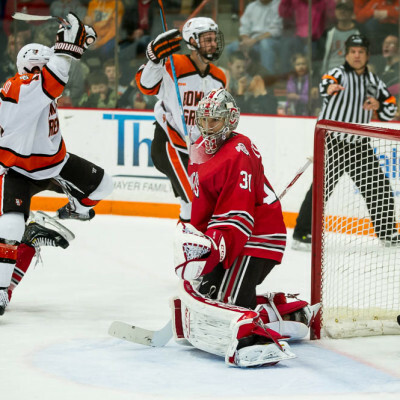 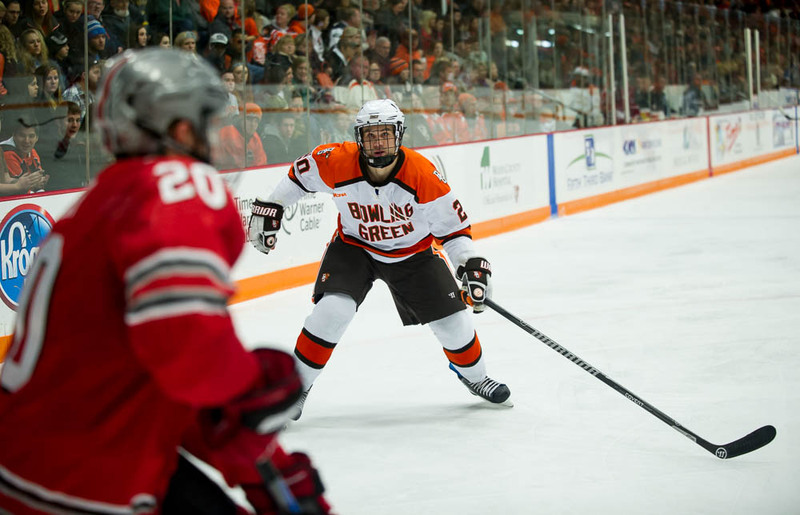 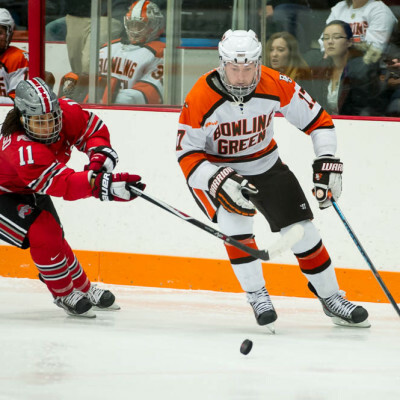 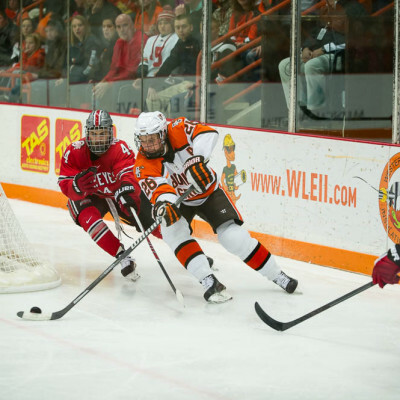 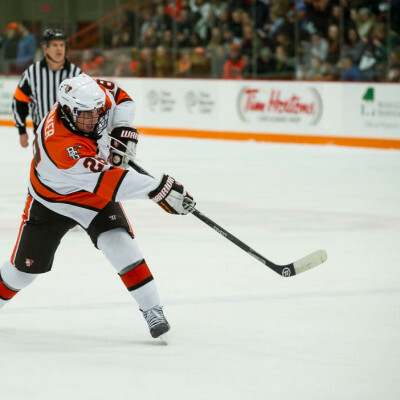 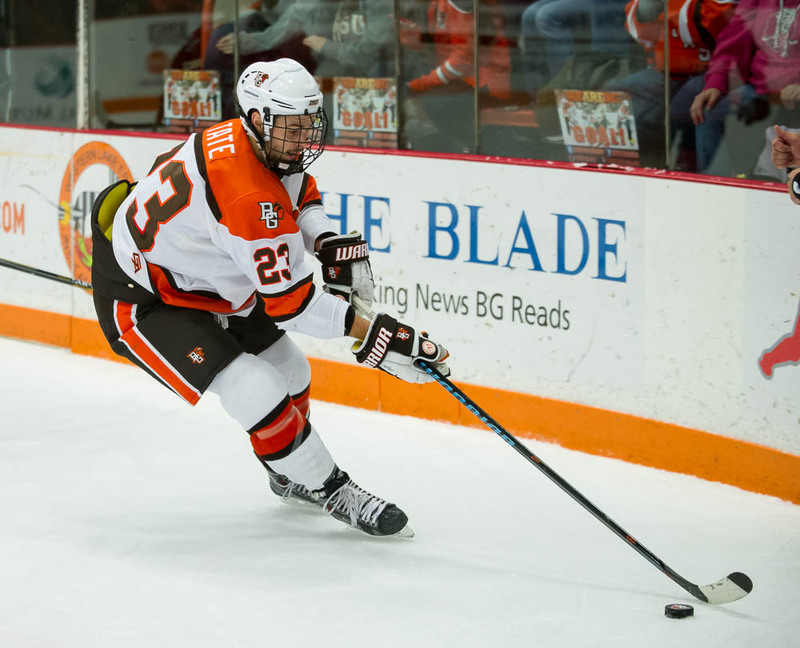 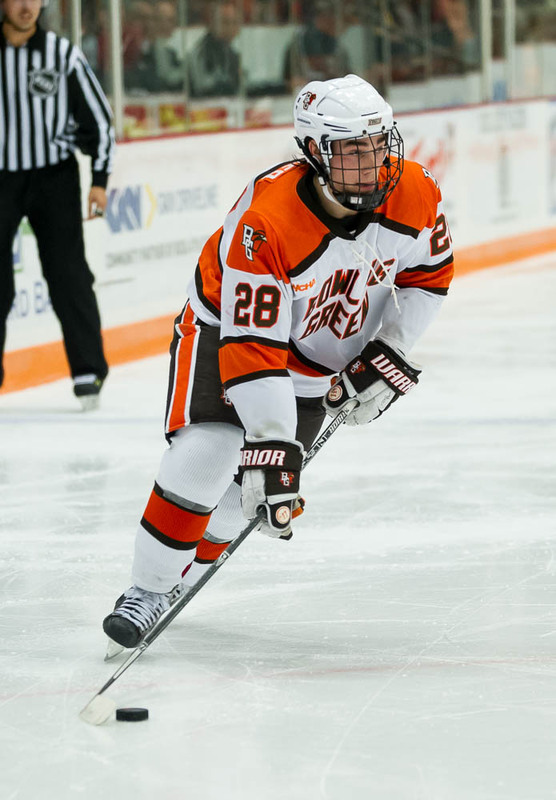 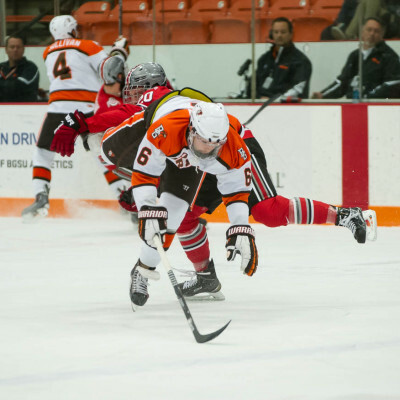 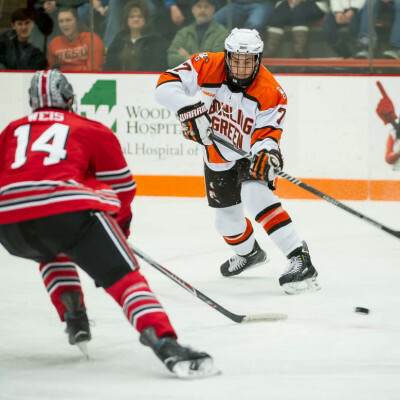 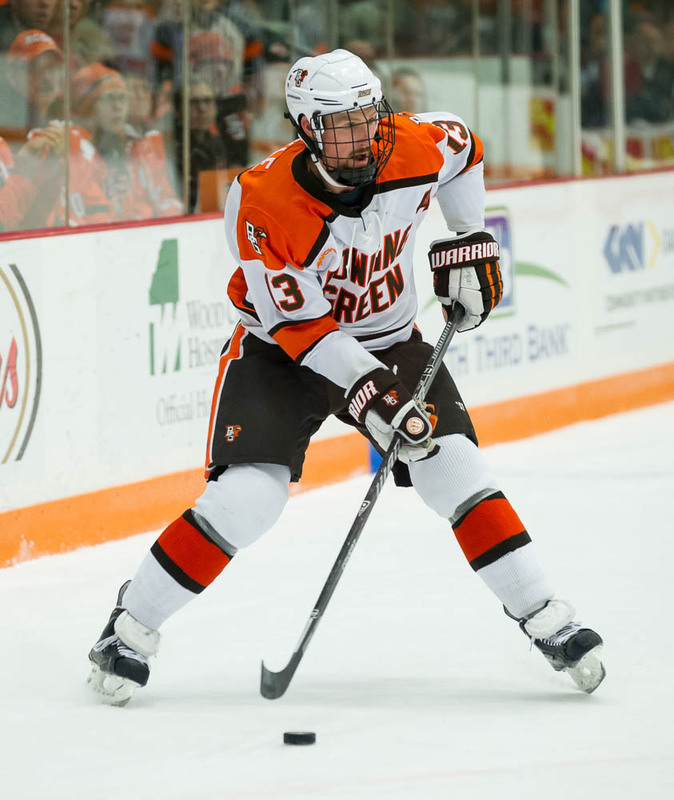 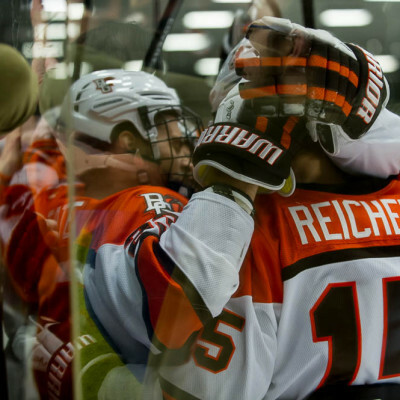 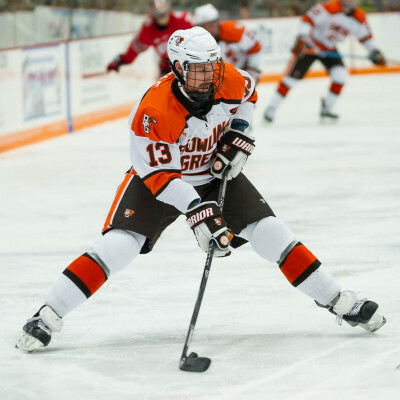 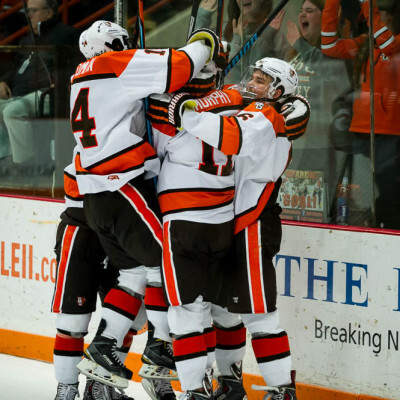 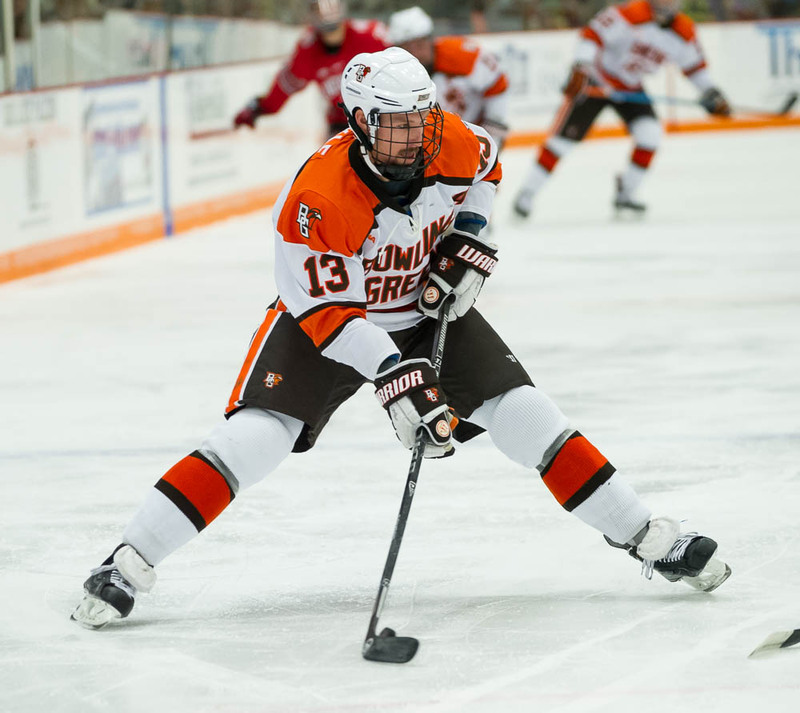 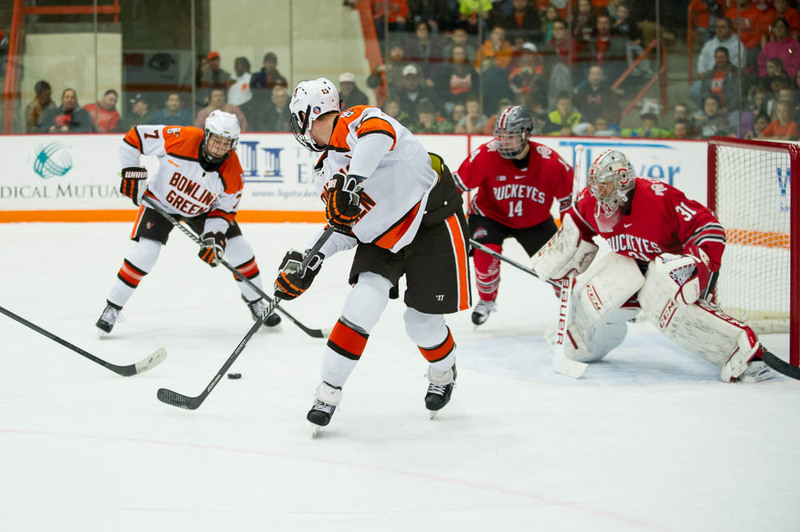 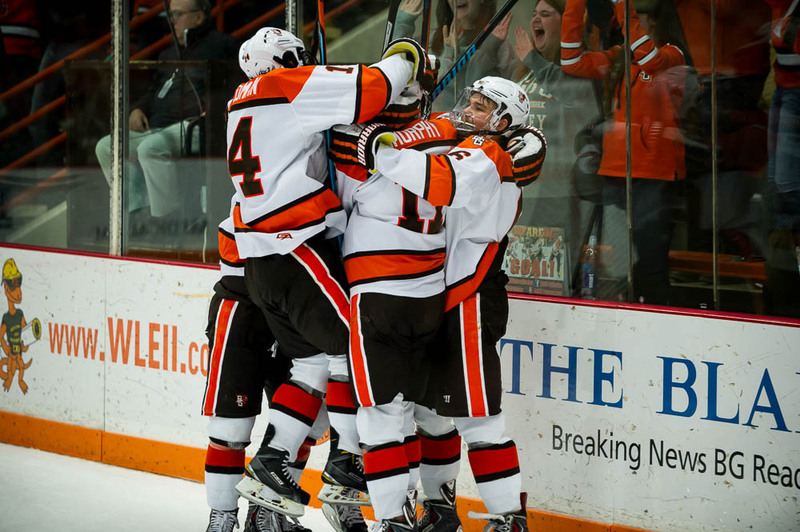 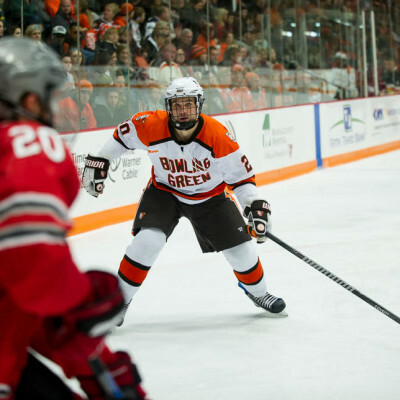 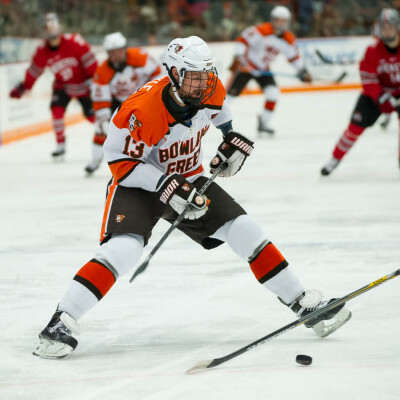 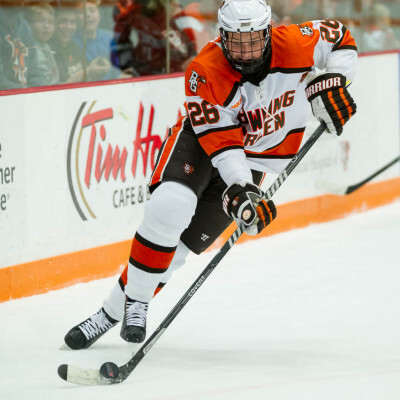 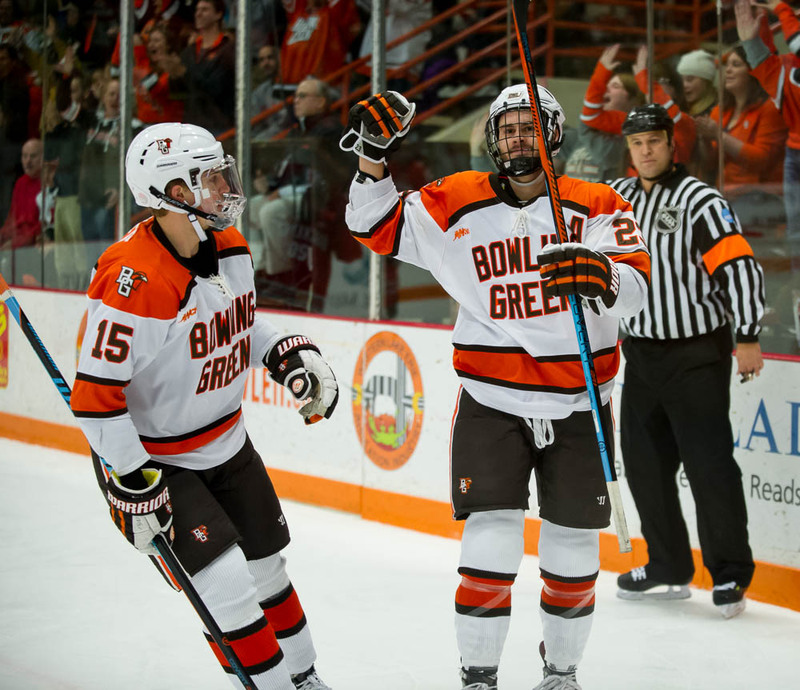 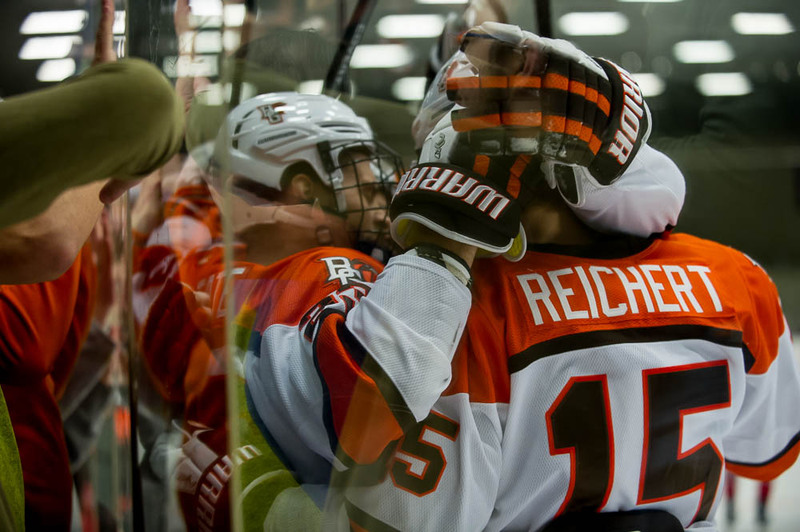 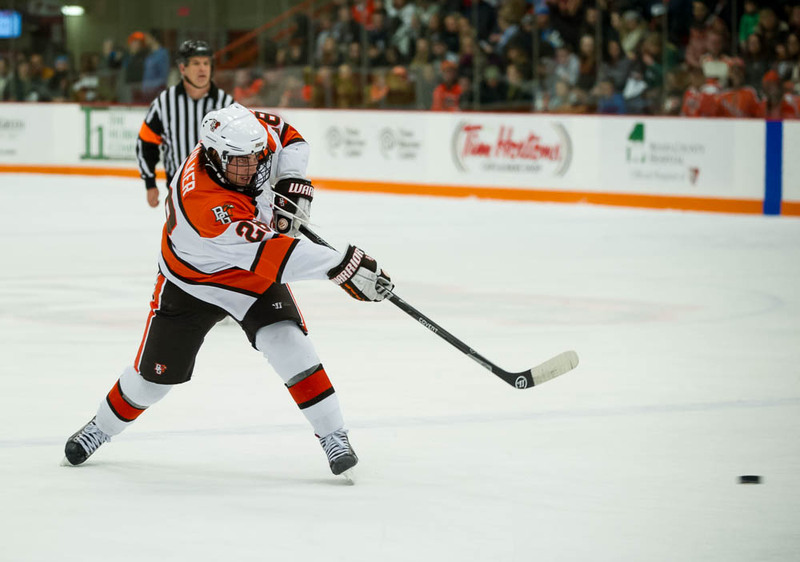 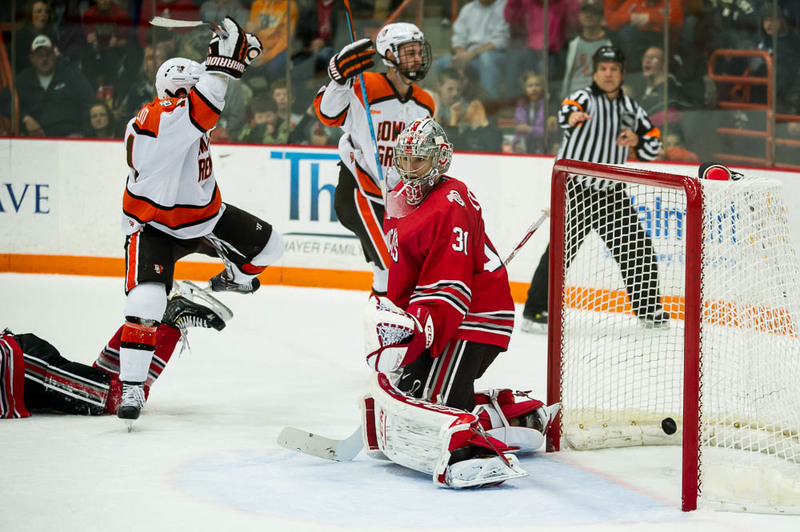 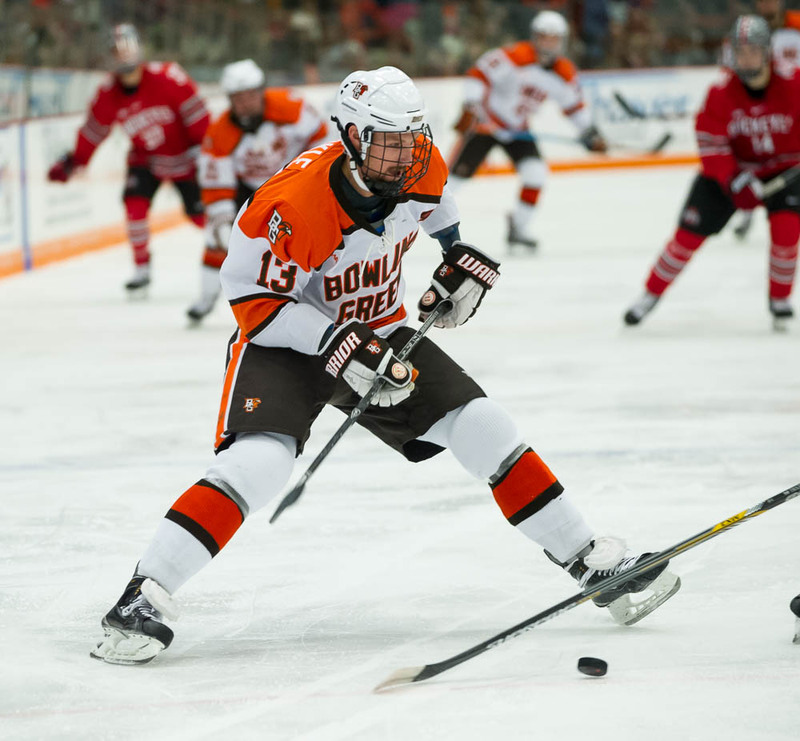 In front of an announced crowd of 5,353, a new BGSU Ice Arena record, the Falcons lost a heartbreaking contest 3-2. 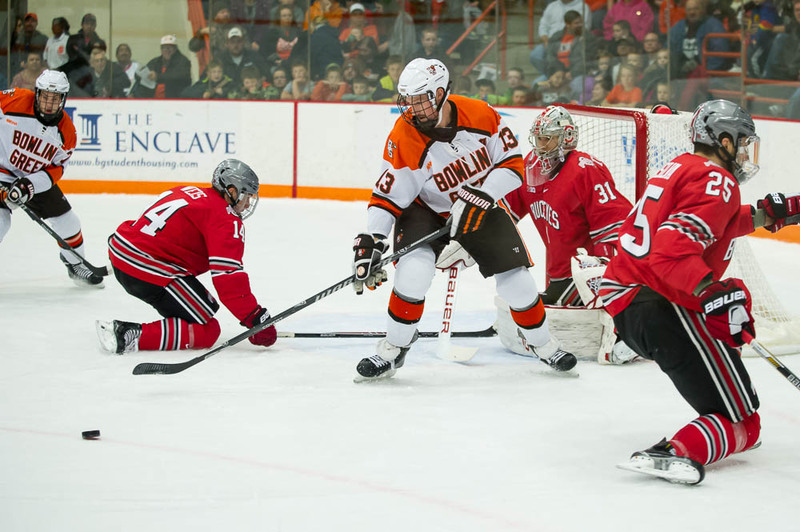 Tommy Burke made his third consecutive start in net for the Falcons stopping 21 of 24 shots while Matt Tomkins started his fifth game of the season for the Buckeyes turning aside 25 of 27 shots. 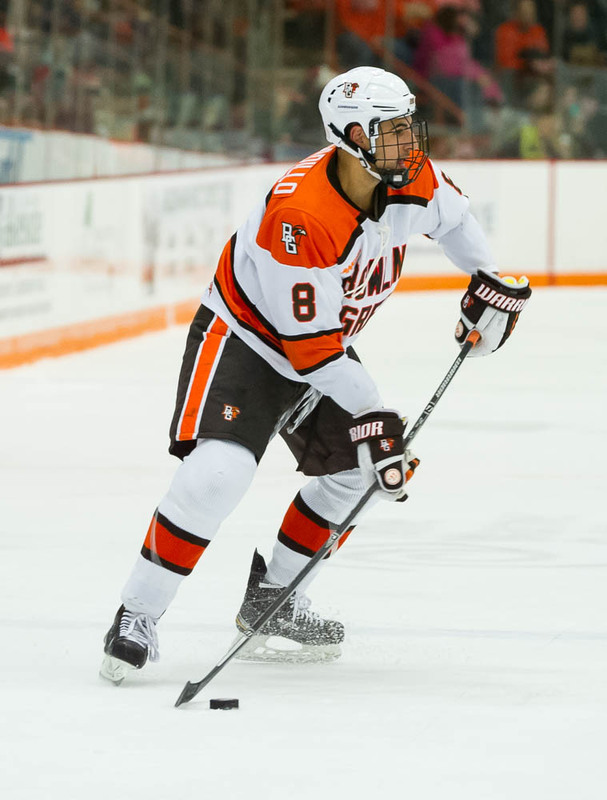 Brent Tate, playing in his first game since October 24th against Clarkson, lit the lamp for the Falcons at 8:41 of the first period. 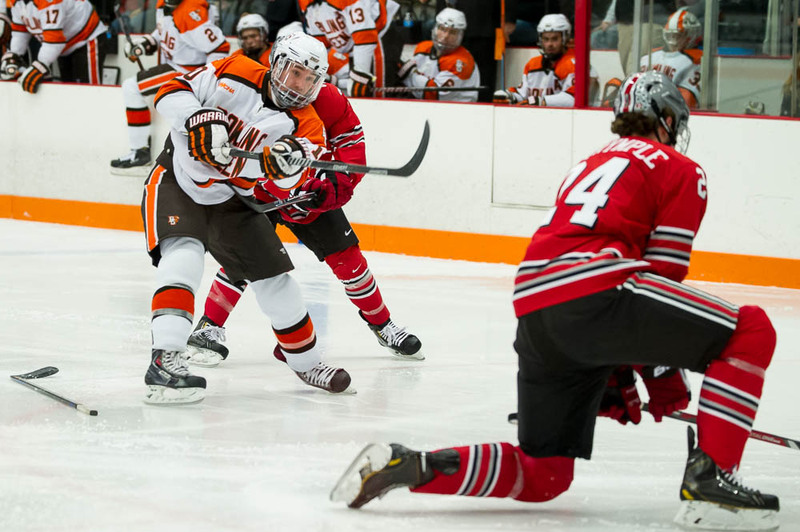 Tyler Spezia took an initial shot on Tomkins who kicked a rebound right to Tate who converted the rebound. 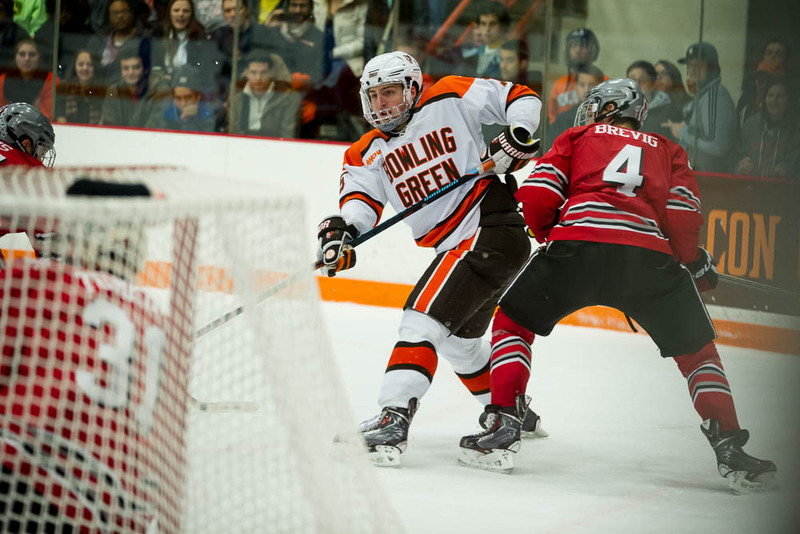 Dajon Mingo also assisted on the goal. 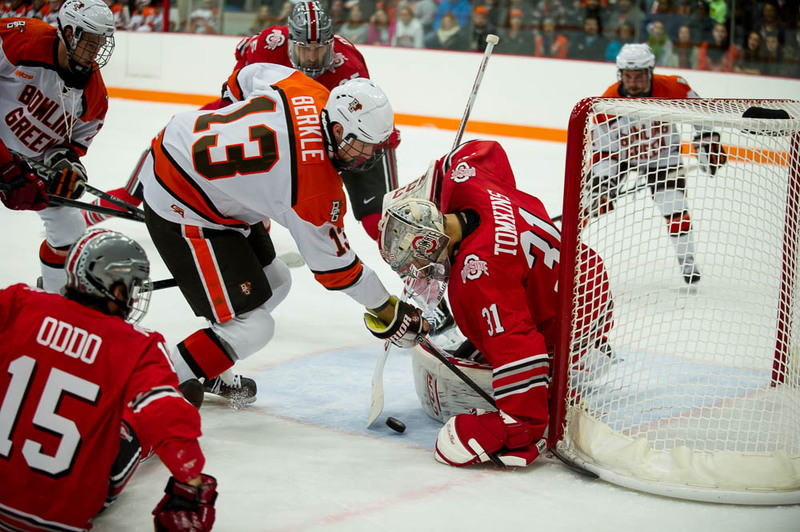 Burke turned aside all eight Ohio State shots while Tomkins saved five of six Falcon attempts. 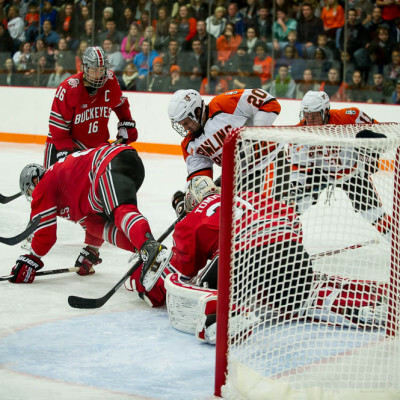 The teams played a very tight checking second period and neither squad managed to score a goal in the second period. 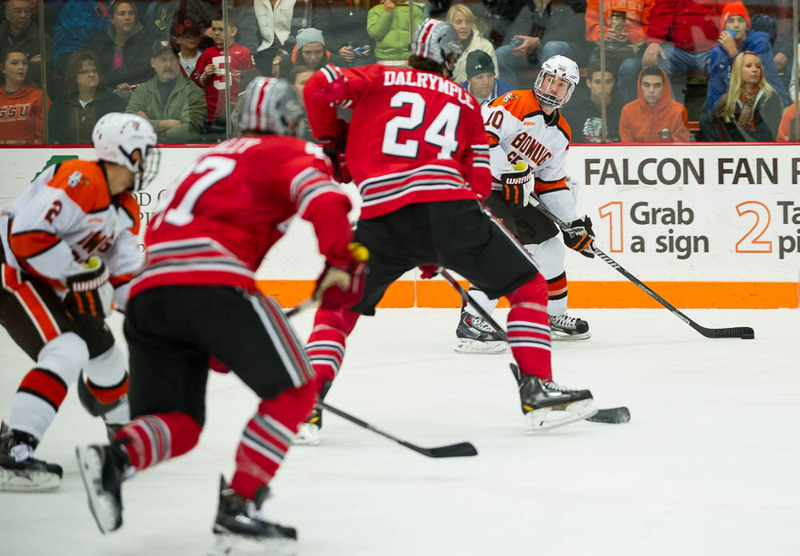 The Falcons managed eleven shots on net while Ohio State challenged Burke with four attempts. 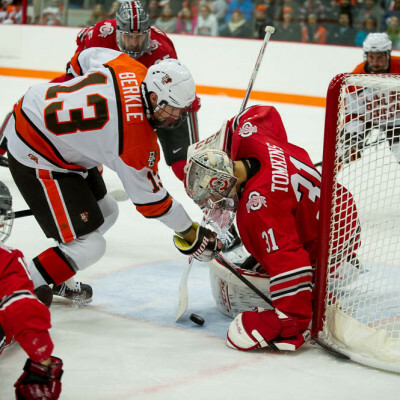 Ohio State finally got on the board at 15:28 of the third period. 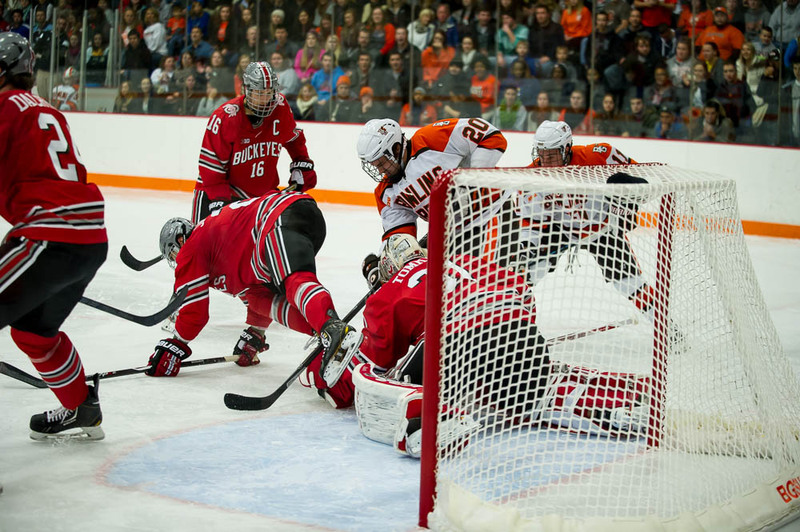 A loose puck sat in the crease before Matt Weis poked the puck across the goal line. 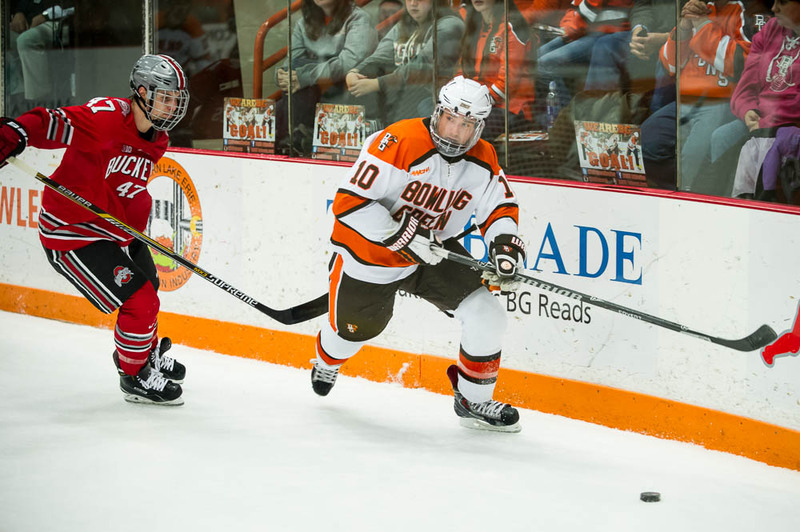 Sam Jardine assisted on the Buckeye marker. 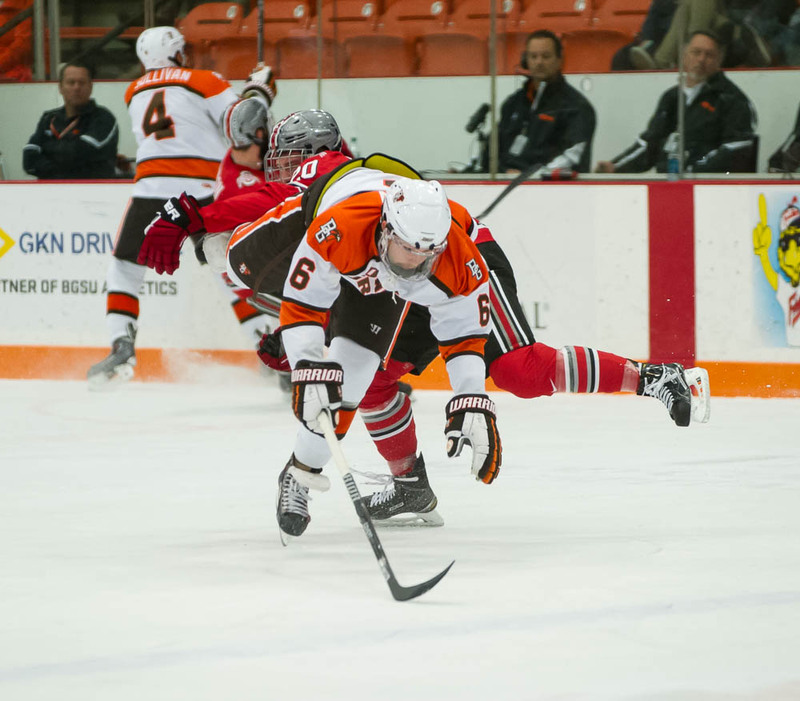 The Buckeyes took the lead at 18:26 as Tyler Lundey tapped in an airborne puck by Craig Dalrymple. 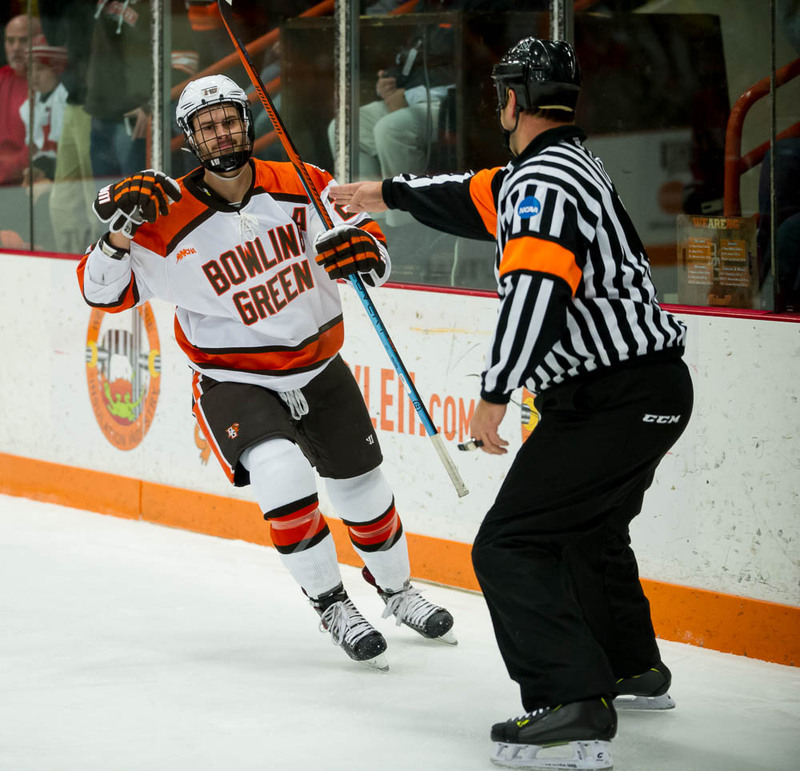 The Falcons would play cardiac kids at 18:44 as Brent Tate wristed a shot past Matt Tomkins with an assist by Ben Murphy. 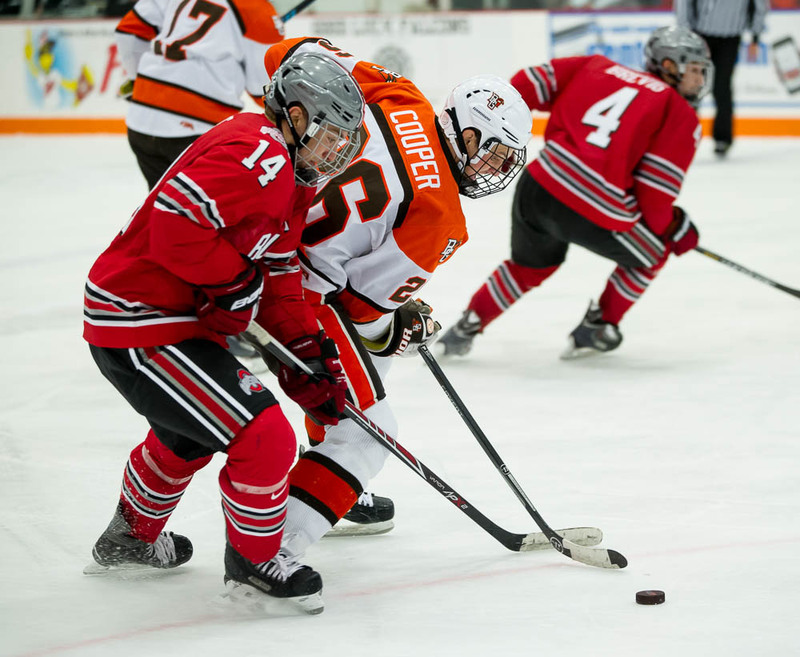 But the Buckeyes would take the game winning goal at 19:47 as Anthony Greco took an assist by Matthew Weis to give the Buckeyes the 3-2 victory. 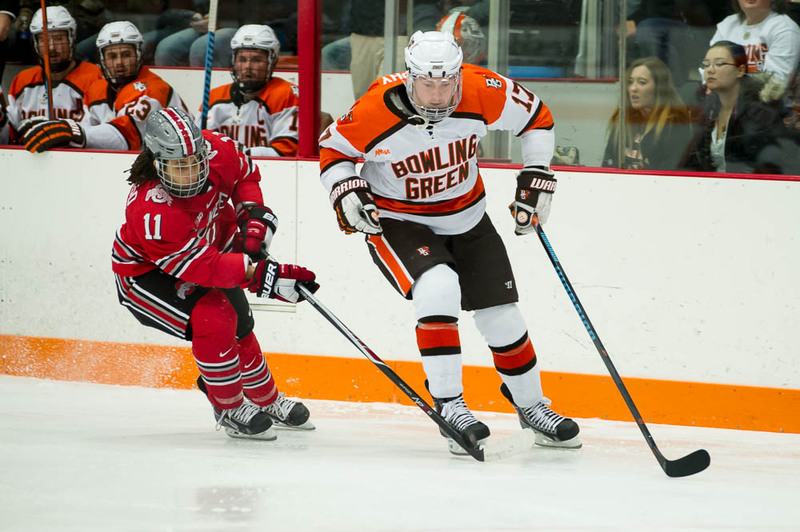 – Neither team scored with the man advantage as Bowling Green went 0/1 while Ohio State was 0/4. 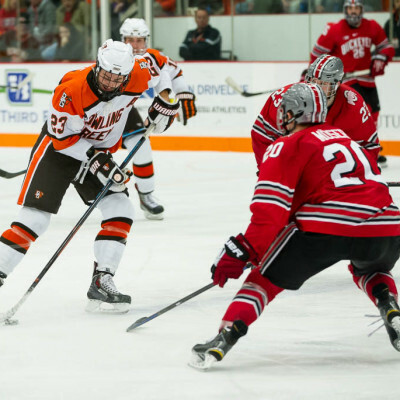 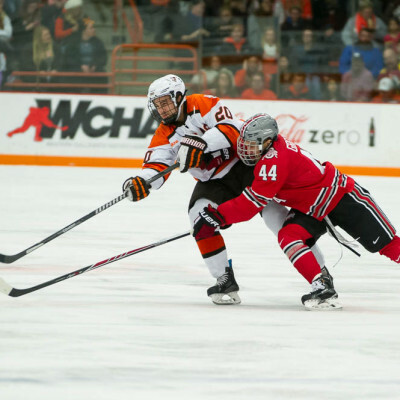 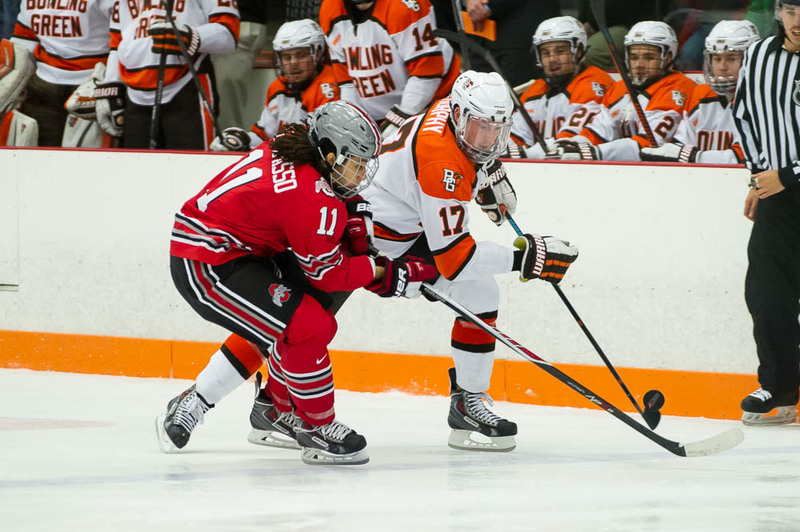 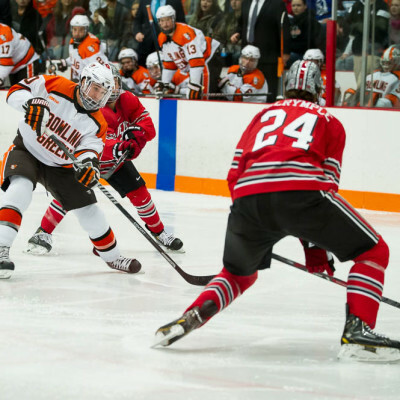 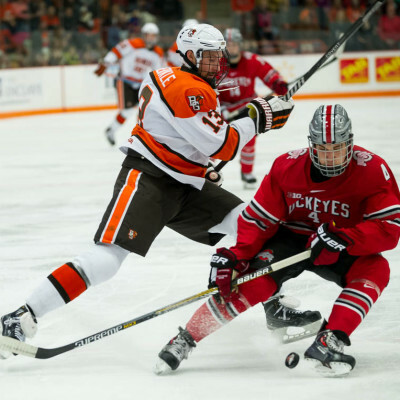 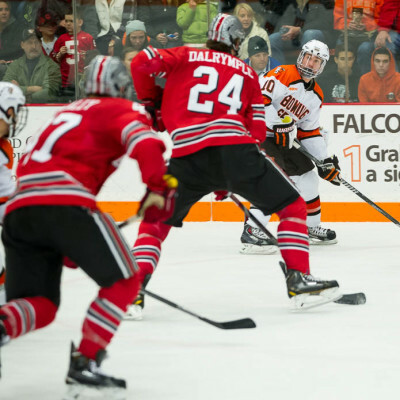 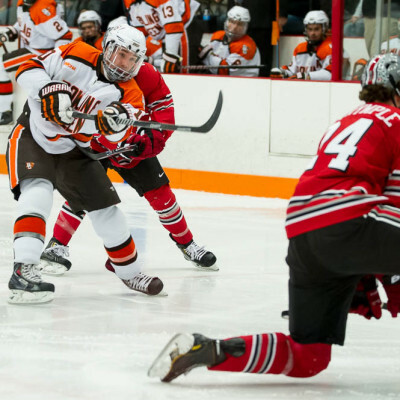 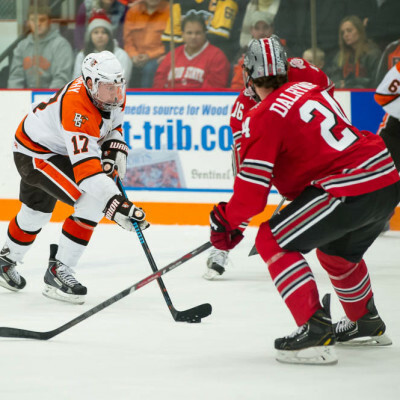 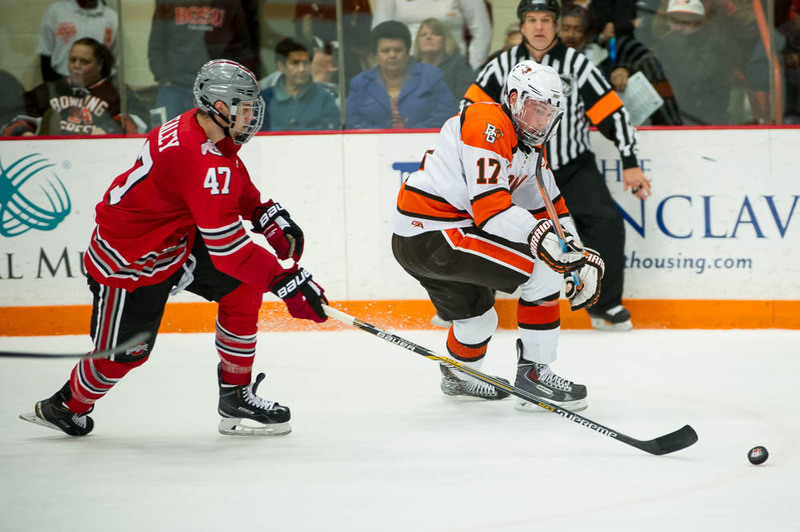 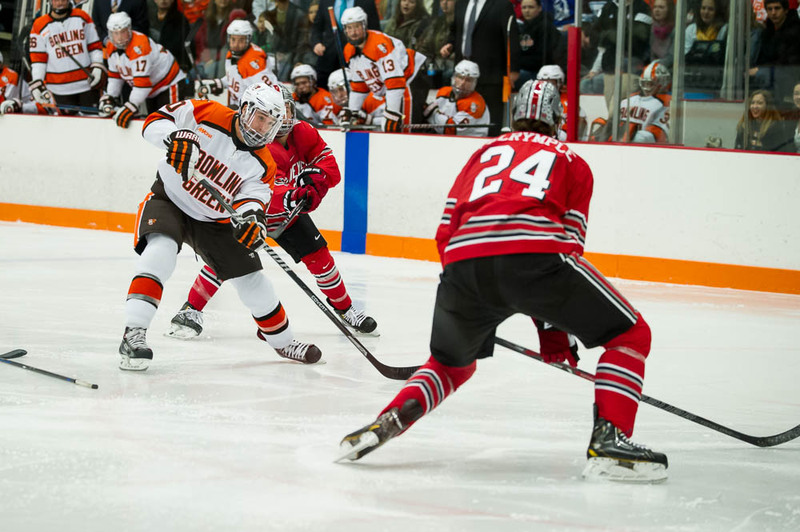 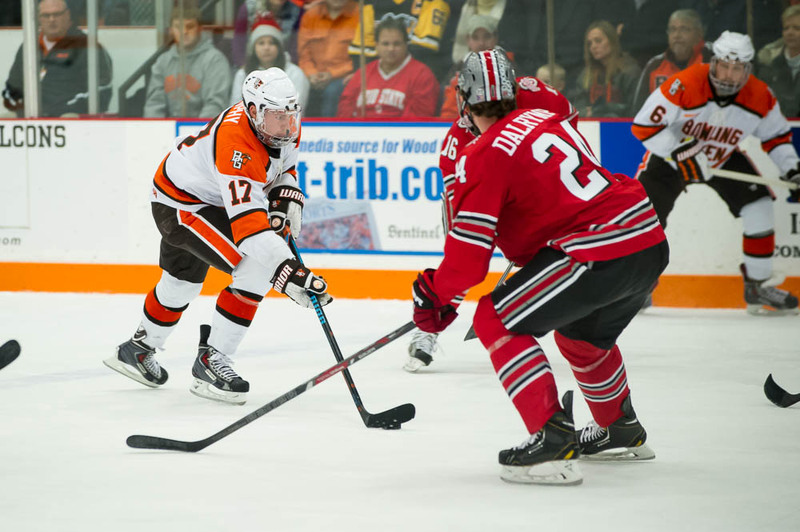 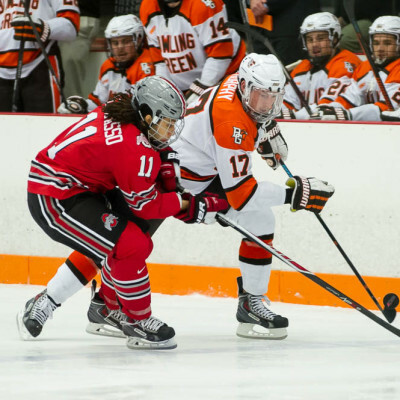 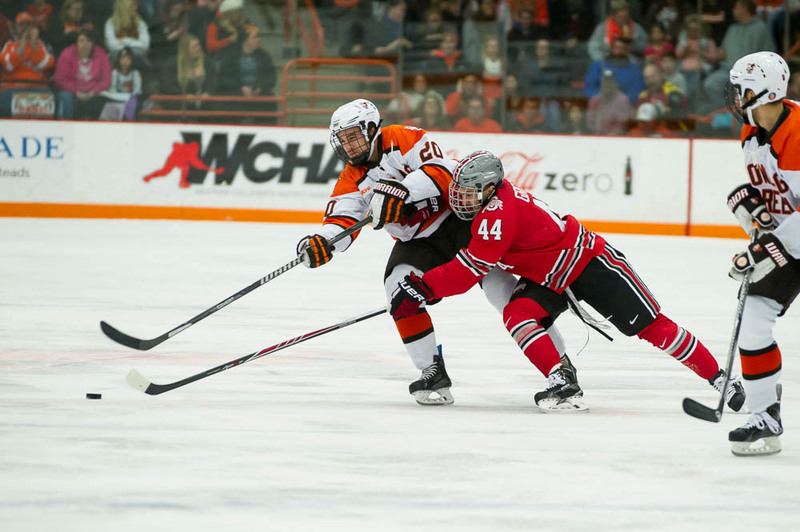 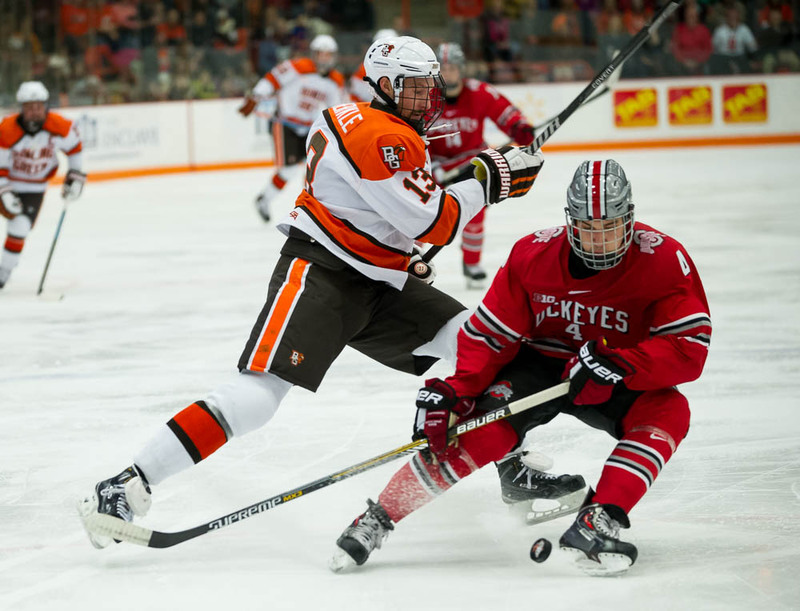 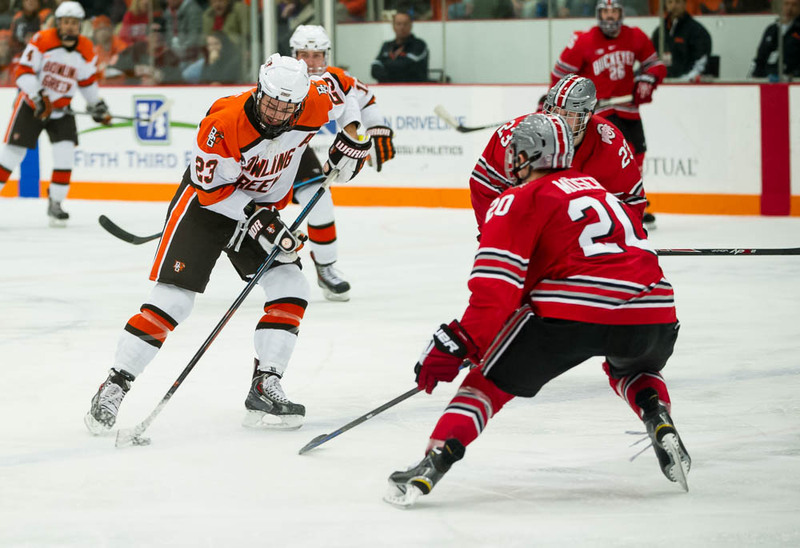 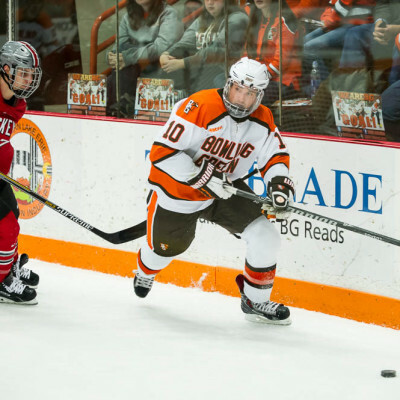 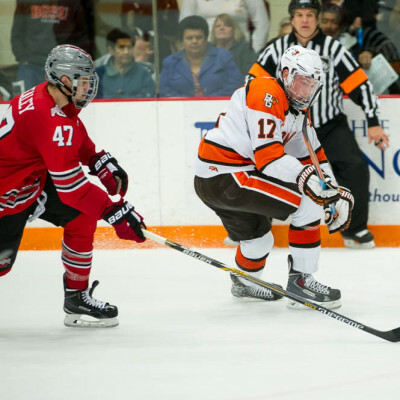 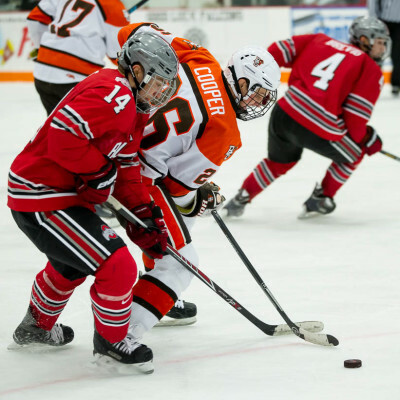 – The Falcons won the face-off matchup as they took 42 wins to Ohio State’s 35. 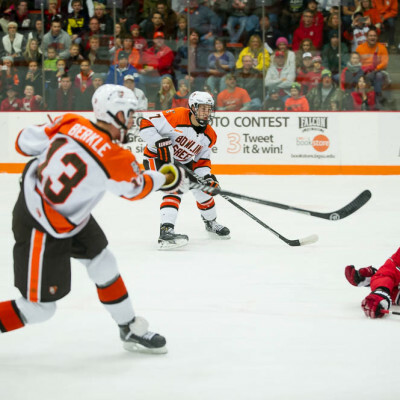 – The attendance mark of 5,353 bests the previous record of 5,031 against Michigan on 2/25/12.